Paris is a remarkably safe city and, relative to the US, your chances of being the victim of violent crimes is incredibly low. You will even find that, in most neighbourhoods, walking around alone at night is perfectly safe. That said, there is a pretty substantial amount of petty crime here that, if you don’t know what you are doing, can be somewhat easy for tourists to fall victim to. Fortunately, you have ParisByM here to teach you the ropes… with some common sense and a degree of caution… you will have nothing to worry about. By far the easiest way to avoid being targeted by the pickpockets is to avoid looking like the tourists that they prey upon. 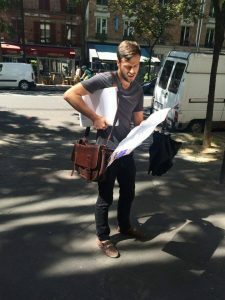 For starters, this means dressing like a Parisian… Sorry everyone… No fanny packs, sun visors, tennis shoes with white socks, Sperrys… Remember that, although stereotypical, Americans have a tendency to stand out when they travel abroad and as a result are often targeted more frequently than others. To blend in, one of the easiest things you can do is dress like a Parisian. For both genders, this means neutral, muted colours like brown, grey, black, and depending on the season… perhaps white. Additionally, leather shoes, jackets, and scarves will go a very long way here. Additionally, avoid walking around with a camera or a selfie stick… basically anything that identities you as a tourist. Instead we recommend walking around with confidence, acting like you know where you are going (even if you don’t), and taking pictures with your cell phone. Bags that can be sealed shut with a zipper are an absolute must here in Paris. 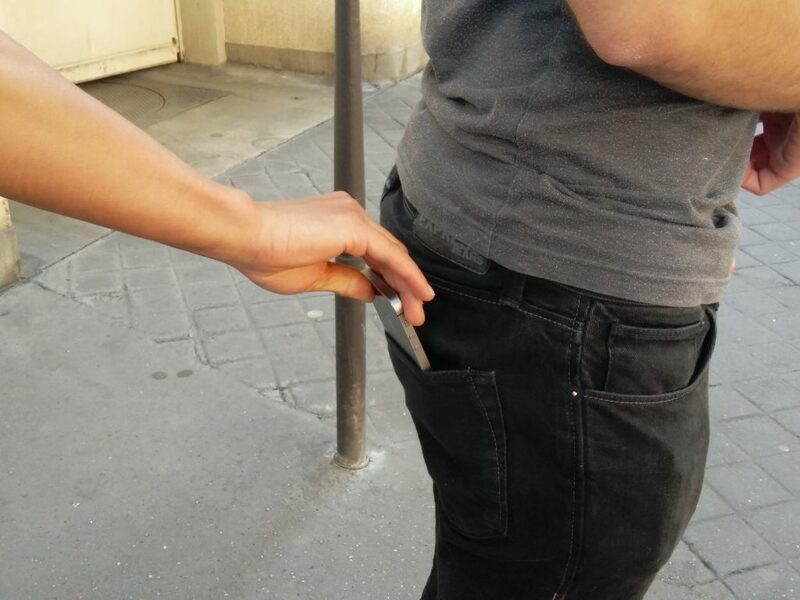 Pickpockets look for easy targets and by having this one small additional obstacle for them to come… you can dramatically reduce your risk of being pick pocketed. Big wide bags that do not shut are a huge no no as they are easily accessible. Should you decide that you want to bring an open bag though… we strongly recommend you keep it in your lap and in front of you at all times… especially when in crowded places! Nothing is more attractive to pickpockets than an iPhone or wallet protruding from one’s back pocket, especially when you are in a crowded metro or museum and people can easily brush up against you without raising any eyebrows. For this reason… we recommend that you place all valuables in your front pockets or in your bag with a zipper. 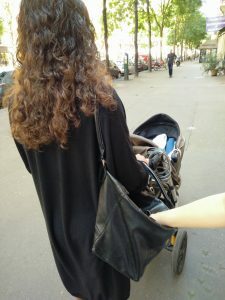 An easy way to catch the pickpockets off guard is if you show them you aren’t some average tourist walking around Paris (even if you are). Learn a few basic phrases that will let them know you are prepared for them. “Va-t-en” is a great one as it means get lost. If this seems a little bit too rude for you, a more polite way of letting them know you are not interested is by saying “Non Merci, Je ne suis pas intéressé”. We personally recommend a slightly more firm tone however as this is most likely to drive them away. 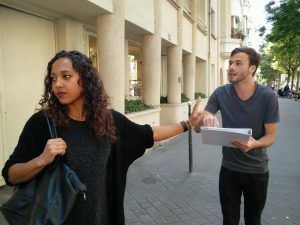 While most pickpocketing simply happens in crowded places when you aren’t paying attention, many pickpockets here in Paris can be very creative in how they try to approach you. Many work together in small groups to distract or otherwise trick unsuspecting tourists. 1. “The Ring Scam”– In this scam, a pickpocket will approach you with a ring and ask if it belongs to you. When you tell him or her no they will ask if you would like to keep it. Now… the unsuspecting tourist might do the following. He or she would accept the ring and then discover that the pickpocket would like you to give him 30 euro… or worse… someone else might steal belongings from you while you are distracted. But fortunately, with your ParisByM briefing… you are no ordinary tourist! To avoid this scam simply shut it down before it even starts. Don’t accept things that don’t belong to you from any strangers on the street. If you even look like you are considering taking the ring the pickpockets can be quite aggressive. Just say no and keep walking. 2. 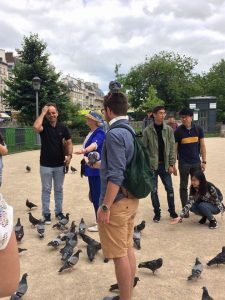 “The Friendship String Scam”– For whatever reason, I see this manoeuvre being employed most commonly up at Sacré Cœur and in Montmartre. That said, it can happen anywhere and for that reason knowledge of it is very important. In this scam, a group of individuals will approach you and ask you if you would like a friendship band. They will attempt to tie it around your hand, sometimes quite aggressively, and after they have done this they will demand money. Even if all they do is intimidate you into giving them 5 euro, there may be someone behind you slipping your wallet out of that back pocket (see not putting things in your back pockets up above). 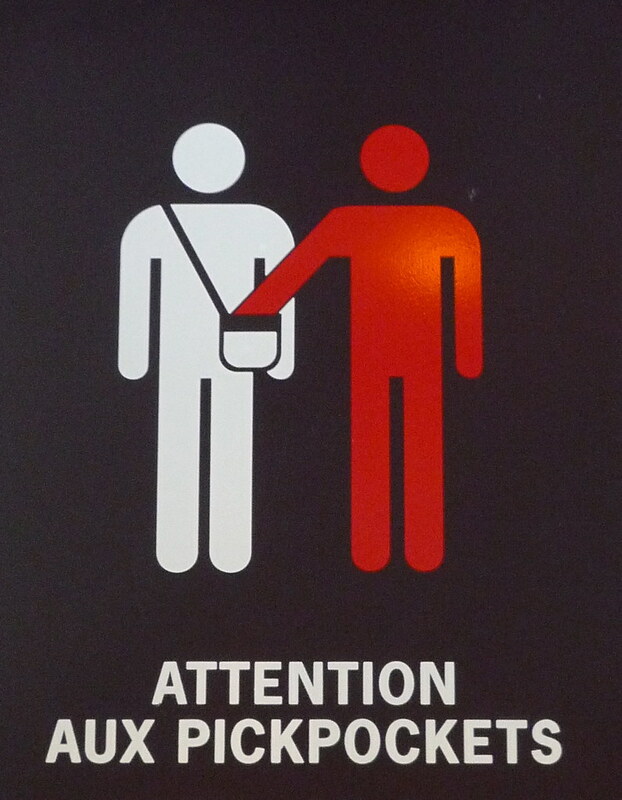 As with any pickpocket scam… its easiest to stop the maneuver before it begins. Just say no. 3. “The Do You Speak English Scam””– The people running this trick are not beggars but rather organised criminals. They will simply try to approach you by asking if you speak English. Often times, it will be obvious to a native English speaker that these people are foreign to the language making their request quite unusual. They will try to tell you a long sad story and at the end they will ask you for money. As always, just simply say no and keep walking. 4. “ATM machine scams”– ATMS are normally quite safe in France, however, we recommend using ones located inside of banks during operating hours, especially if alone. The reason for this is that it is possible for pickpockets to take advantage of people withdrawing money on the streets. They might stand a little to close to you and watch you enter your cards pin number… after doing this they could swipe the card and run for it. To avoid this, just hide the pin pad from peaking eyes with your hand. Additionally, a more complex ATM scam is for criminals to hack into the machine and cause it to retain your card and record your pin number. The machine will tell you that the card was withheld for entering the incorrect pin number. Later when you have left, the card will be removed by the pickpocket and they will withdraw money from your account with their newly learned pin number. This is significantly less likely to happen in a secure banking facility during operating hours. The French in general speak much more softly than foreigners. This is particularly true in the case of Americans who, culturally, are much louder on the whole. For this reason, we highly recommend speaking softly, especially when conversing in English, as this will significantly reduce the chance of someone identifying you as a foreigner. An easy way to avoid being wiped out by the pickpockets is to simply not carry that much around with you in the first place. Leave most of your money, passport, computer and all of your valuables in your hotels safe or secure locker. It may even be a good idea to leave your credit/debit card at home and just take out what cash you will need for the day and leave the rest. This way, if you are targeted, you will not be in serious trouble. Having just 80 euro robbed from you can be enough to sour a day… why risk losing even more and souring your trip? As cliché as it may seem, criminals do not want to be noticed and as a result tend to hang out in the shadows. We recommend walking on the more well lit part of the street during the day time where pickpockets are a little less likely to be. Even if this is erring a little on the side of caution, a stroll in the sun is much more pleasant anyway. It’s a win-win situation for you no matter what! Nothing will label you a tourist faster than appearing to be hopelessly lost. When you open up a metro map, you are immediately labelling yourself as an easy target. Instead we recommend that you plan out your route either in advance from the comfort of your hotel room or just use the giant maps posted everywhere around the city and in the metro to help you get around. These maps are much more commonly used by experienced tourists and locals alike and they will allow you to keep your hands free and guarding your belongings. Literally, when travelling with cash it is a very good idea to avoid keeping all of your money in the same pocket/purse compartment. Instead, you can put some of your money in your left pocket, some in your right and then some in your bag. For the really cautious, you may even want to consider investing in a money belt that is worn underneath your clothing but outside of your underwear. This is a really easy way to keep your money safe as no one, not even a pickpocket, will be looking to stick there hands down there! With all of these great safety trips, your visit to Paris is sure to go smoothly. Just use some degree of common sense, be award of your surroundings, and err on the side of caution whenever possible and the pickpockets won’t stand a chance against you! Located right in the very heart of Paris in the 3rd and 4th arrondissements, the Marais is one of Paris’s most historic neighbourhoods. 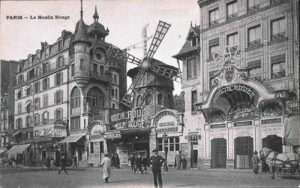 This now highly diverse and trendy neighbourhood, was once the home of Paris’s elite aristocracy. Today this Parisian gem is popular with the LGBT community and the international crowds. Here you will discover beautiful mansions, colourful market places, and iconic landmarks known to all around the world. From shopping… to amazing dining.. to word class nightlife. The Marais truly does have something for everyone. 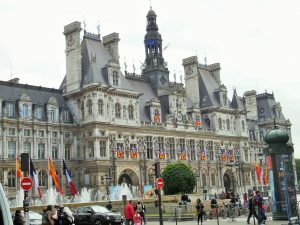 Are you planning a trip to Paris and wanting to check out the Marais but aren’t sure exactly what there is to do there. Look no further. We here at ParisByM have taken the time to compile a list of all our favourite things that are to be found here. Paris’s cultural heart is teaming with fantastic art galleries and museums… many of which are far less touristy than the Louvre and, as a result, have far shorter lines. One of this district’s more fascinating museums is The Musée d’Art et d’Histoire du Judaïsme (The Jewish Art And History Museum). It is fitting that this museum should exist within the Marais as it was once the epicenter for Jewish life here in Paris. We cannot in good conscious fail to recommend what is perhaps one of the most famous museums in all of Paris. 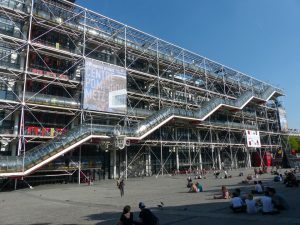 Laying just outside of the Marais’s core is Centre Pompidou. Housing the largest collection of modern art in Europe… it is simply not to be missed. The building’s highly modern design and size makes it absolutely impossible to not notice. The Musée Picasso is a great place to experience the great masterpiece’s of this world renowned artist. Featuring approximately 5,000 pieces of his own work and of his private collection as well. As with Paris’s many other great museums… lines are bound to be long so be sure to arrive early! For more information on great museums and galleries in the Marais click here. 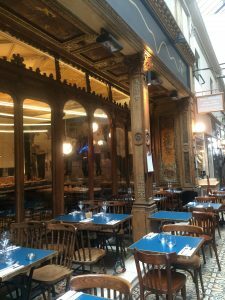 As with the entirety of Paris, you will never have to walk far in the Marais to find the next bakery, café or restaurant. The area’s dining options here are as quaint as they are delicious. We here at ParisByM have a few recommendations of our own. You won’t be able to resist the smells of freshly baked bread after a long morning strolling around the city. Grab a baguette and some cheese and head on over to the historic Place Des Vosges for a quick afternoon picnic. Or head on over to a charming French bistro if you are looking for more of a sit down type of dinner. 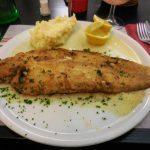 For anyone looking to splurge on a traditional French meal, head on over to L’Ambassade d’Auvergne where you will enjoy a dining experience you won’t soon forget. The Marais is known in Paris as a truly magnificent shopping area. 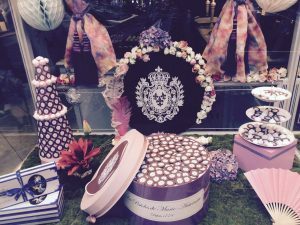 Not only is there a wide selection of retailers to choose from, but the Marais is thankfully spared from the crowds of tourists that dominate other popular shopping districts such as the Champs Élysées. The Rue de Temple and Rue des Archives are two great streets for shopping in the Marais. Here you can window shop through all of the area’s trendy boutique stores or head on over to the nearby and popular home décor shop called Fleux. If you are looking to shop in one of Paris’s largest department stores, the BHV is just right across the street from the Hôtel De Ville. Here you can find a wide array of designer brands and all of the latest in fashion trends. The Marais is home to a number of highly famous monuments and landmarks. 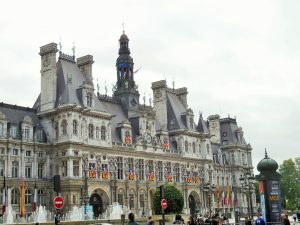 Most notably, Hôtel de Ville (residency of Paris’s mayor) and Hôtel de Sully are massive mansions and palaces right in the heart of the Marais. These beautiful buildings are impossible to miss and make for a terrific photo opportunity. Situated in a quaint garden… Tour St. Jacques, once the starting point to the pilgrimage to St. Jacques de Compostella in Spain, is a beautiful example of gothic architecture. This massive structure towers over the surrounding buildings within the Marais and its splendour will leave you speechless. One of our absolute favourite landmarks in the Marais, however, is without a doubt the Place de Vosges. After a long day of shopping, sipping coffee, and exploring… we recommend heading to this beautiful park and enjoying a picnic in this garden courtyard nestled between aristocratic housing… housing that was once the home of Victor Hugo! 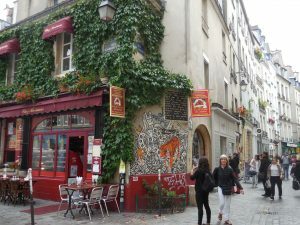 The Marais is a popular nightlife district here in Paris. 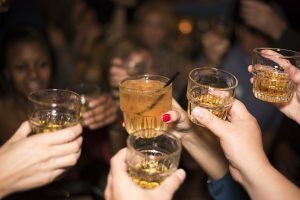 The party is at its best on Friday and Saturday nights but, during the summer months, you will find that there is quite the scene any night of the week. While the area hosts bars and clubs that cater to everyone, there is a particularly large LGBT nightlife scene in the Marais. Here you will find popular gay bars and clubs like Raidd, Open Cafe, and Cox Bar. For a night of drinking with friends, dancing, and revelry… the Marais is a must for anyone looking to let loose and party! 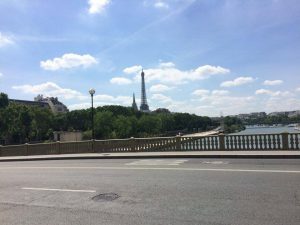 Paris is of course famous for its world class shopping and café culture, however, most people who visit the city for the first time head straight to the Champs Élysées and fail to experience the city’s less touristic side. For this, one need only venture slightly off the beaten path to one of Paris’s quaint Passages Couverts. These covered alley-ways house a wide variety of shops, cafés, bars, salons, bakeries, and even some hotels. 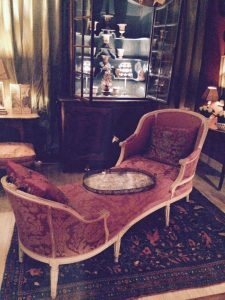 Unlike Paris’s larger shopping venues, the elegant charm of these galleries will transport back through time and leave you with a nostalgic yearning for times past. These passages, created in the 18th and 19th centuries, are well known for being architectural treasures due to the glass ceilings that shield those beneath them from the rain. They were the world’s predecessors to modern day shopping malls. These galleries are the perfect place to spend the day exploring, shopping, and unwinding with a drink on one of Paris’s less sunny days. Below, you will find a list of some of our favourites! The Passage des Panoramas was first opened in the year 1834. It has maintained its bustling, vibrant personality ever since. 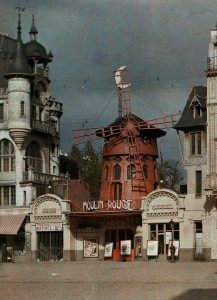 It is arguably the most unique of all Paris’s covered galleries. It is filled with restaurants, bars, vintage stores, and trendy boutiques. For a unique dining experience, check out the quirky Victoria Station… where you can dine in what looks like an old train carriage! Passage des Panoramas is perfect for anyone who only has time to see one or two of Paris’s many passages couverts. Good luck though, after having seen one of them you will have a hard time resisting the urge to explore more! Built after Passage des Panoramas, Passage Verdeau came to be in 1847 and comes complete with a magnificent cradled glass roof. The crowds begin to thin out here and you can easily spend an afternoon meandering through the quaint antique shops found here. The antique furniture here is either really well maintained, or has been restored to mint condition. If antiques aren’t your thing… don’t worry… there are also fantastic comic book shops that house many rare titles. So allow yourself to get lost between isles of bookshelves stacked high.. you never know what you might stumble upon! Immediately after stepping through the doors of Passage des Panoramas you will be greeted by Passage Jouffroy. This shopping gallery was built, like Passage Verdeau in 1847. This gallery hosts numerous fantastic shops and, even more excitingly, the Musée Grevin waxwork museum! 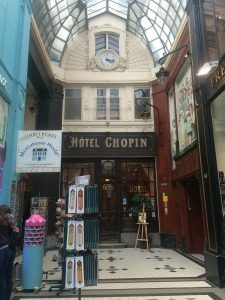 The Hotel Chopin lies at the end of this Passage. While not exactly a five star hotel, this chic, charming boutique style hotel is remarkably affordable given its fantastic location. Imagine walking out of your front door and into this picturesque, shop-lined alleyway. 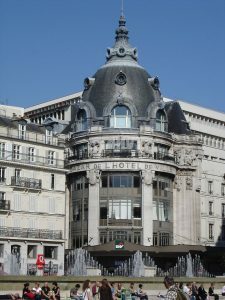 Not only that, but its also conveniently located just minutes from the Opéra! 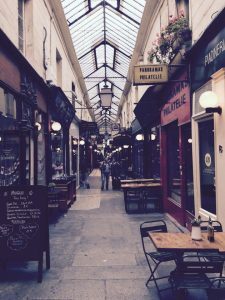 Passage Choiseul, while less flashy than its neighbors, is jam packed with a lot of great discount clothing stores, and affordable restaurants for those of you who are looking for a less expensive shopping experience. Unlike its neighboring galleries, this shopping centre is less aesthetically appealing and a little less affluent, however there are some really fantastic restaurants here and the best part is they won’t break the bank! 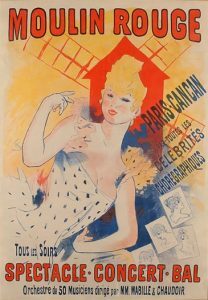 For a complete list of all the covered galleries in Paris please see here.